The Foreign Ministers of the States of the Americas concluded today the preparations for the Summit of the Heads of State and Government, to be held on Friday and Saturday in Panama, with an agreement to send to the appropriate institutions the mandates that emerge from the hemispheric meeting. 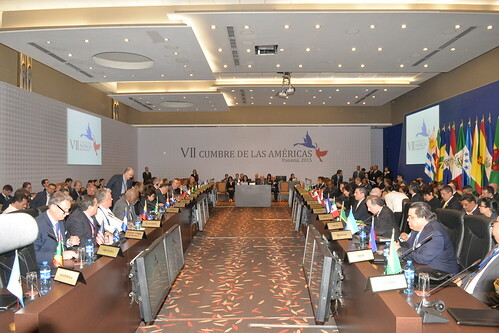 Following the proposal by the Panamanian presidency, the Foreign Ministers of the region decided to deliver the "Mandates for Action" to the institutions of the Inter-American system, headed by the Organization of American States (OAS), and the Joint Summits Working Group, to manage the implementation of the agreements reached in education, health, migration, energy, security, environment, participation and democracy, all in support of the objective of the Summit: achieving prosperity with equality. The final meeting of the Summits Implementation and Review Group before the beginning tomorrow of the hemispheric meeting was presided over by the Vice President and Foreign Minister of Panama, Isabel de Saint Malo, and included the presence of the Secretary General of the OAS, José Miguel Insulza.